LUXURY LIVING AT IT'S BEST, ALL BRICK HOME IN PRESTIGIOUS RAVENNA SUBDIVISION! THIS SPECTACULAR HOME IS AGGRESSIVELY PRICE SELL. THIS HOME FEATURES GRAND ENTRANCE WITH SOARING CEILING WITH GREAT FLOW THAT LEAD INTO HUGE FAMILY RM THAT OPEN TO THE GOURMET KITCHEN WITH HIGH END TOP OF THE LINE APPLIANCES. THE HOME HAS FORMAL DINING RM W/ TRAY CEILING & LIGHTS, OFFICE/DEN THAT LOOKS TO NATURE LANDSCAPE, THE MASTER SUITE HAS A BEUTIFUL VIEW OF NATURE AND LUXURIOUS SPA LIKE MASTER BATH W/WHIRLPOOL, GLASS ENCLOSED SHOWER, DUAL VANITY, AND A HUGE WALK IN CLOSET. THE 2ND BR W/PRIVATE BETHROOM, JACK N' JILL BATHROOM THAT IS IN BETWEEN BR 3 & 4, 3 CAR GARAGE, 3 ZONE FURNISE & A/C. THE LOCATION OF THIS LOT IS PREMIUM WITH SPECTACULAR VIEW FROM THE DECK OF NATURE PRESERVE, CUL-DE-SAC, WTH AWARD WINNING STEVENSON SCHOOL DIST. THIS PROPERTY IS SPOTLESS. CAN BE SOLD WITH FURNITURE FOR ADDITIONAL COST. 83 S. OF 60 TO RAVENNA RIGHT 2 DAYBREAK LEFT 2 GREENBRIDGE RIGHT 2 CLARIDGE. I was searching on Blue Fence and found this listing. 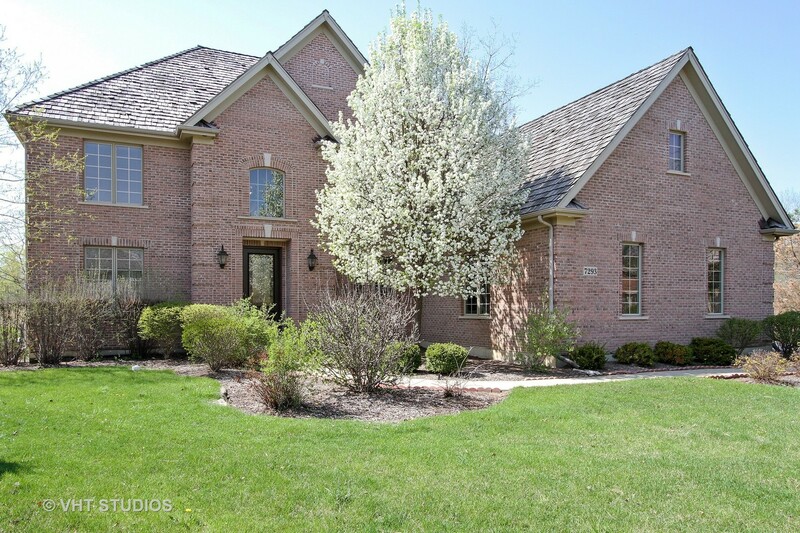 Please send me more information about 7293 Claridge Court , Long Grove, Illinois 60060. Thank you.